Announcing the combination of two of Canada’s foremost tribute bands to create the ULTIMATE ROCK CONCERT! In the 1980’s the BLUSHING BRIDES and GREEN RIVER REVIVAL took the country by storm selling out shows nationwide. Now they have formed a show for the 21st century that will be touring theatres in 2019! 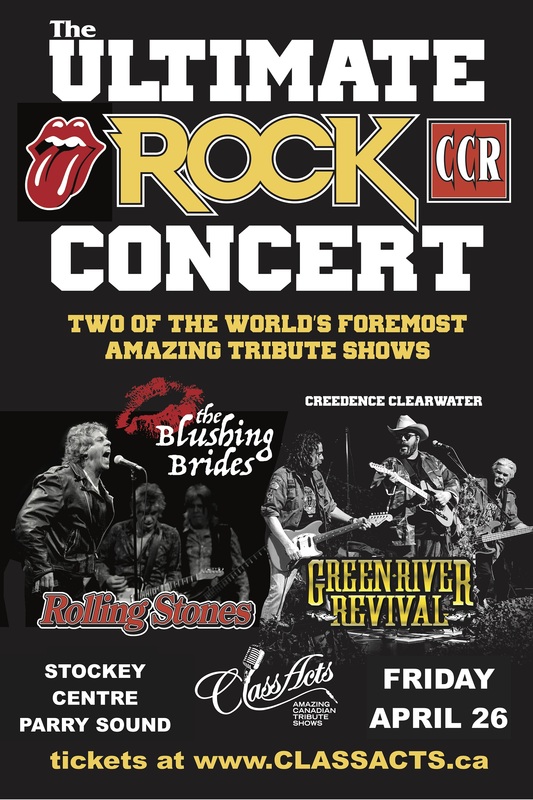 CLASS ACTS presents these two complete bands performing the greatest hits of THE ROLLING STONES and CCR! This is a concert that can’t be missed and a great deal with two bands for the price of one! © 2019 The Stockey Centre. All Rights Reserved. A Niagara Website Design by Future Access Inc.